I really have come to love vintage single swap playing cards and trading cards (blank on back). 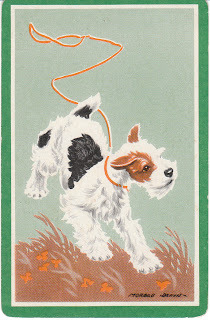 As a dog person, of course I particularly love the vintage dog cards. I'm adding lots more to my store tonight -- from 1940's to 1960's vintage. Children used to trade these and swap them with friends. They are really so incredibly cute. My personal favorites are two Standard Poodle cards that show a New York City skyline in the background. 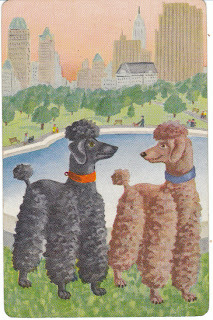 One of these cards shows Central Park, with a number of notable buildings in the background - The Plaza Hotel, The Empire State Building, and the Sherry-Netherland Hotel. 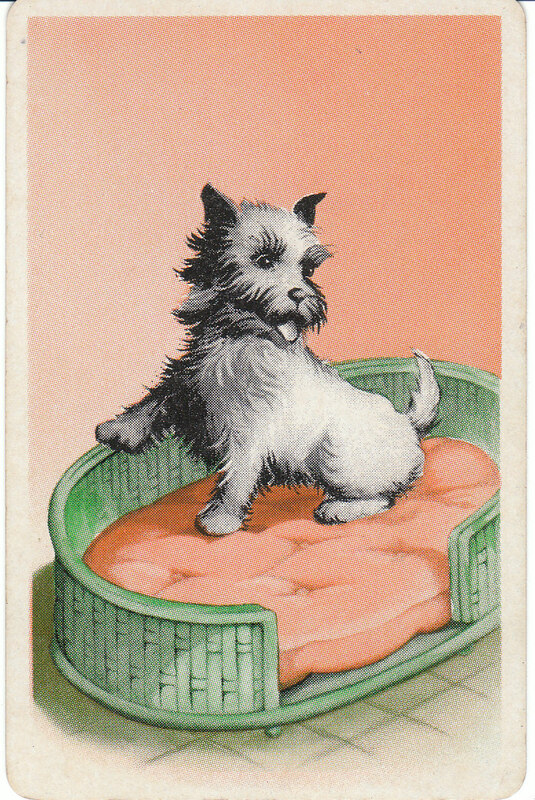 Equally cute is a sweet little Cairn Terrier (1940's vintage) lounging in her dog bed. And -- I can't resist mentioning the adorable Wirehair Fox Terrier pictured here, an illustration by Morgan Dennis. 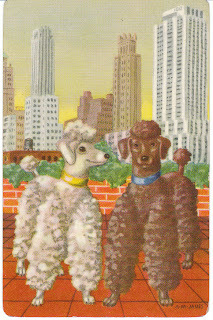 Here are just a few photos - you'll find them all here -- Vintage Dog Single Swap Playing Cards and Trading Cards at Birdhouse Books.